From an operating room in Tucson, to a start-up in Scottsdale, to the United Nations headquarters in New York City, international Wildcats are embracing grand challenges this summer. The UA hosts nearly 4,000 students from around the world, and many of them took advantage of their summer breaks to break into the career world. Three international students from the UA shared advice on how to secure a competitive summer internship and make the most of it. Sultan Dhaifallah Alansari is determined to make his career aspirations a reality. He’s interning this summer with the Permanent Mission of Saudi Arabia to the United Nations in New York City— a perfect complement to his Political Science and Public Administration coursework at the UA. A native of Jeddah, Saudi Arabia, Alansari hopes to eventually turn his summer internship into a full-time position with the Saudi Arabia Foreign Ministry. Alansari found the internship by searching the Saudi Mission website, and then International Student Services at the UA helped him fill out the appropriate paperwork so he could work off campus. Thanks to this internship experience, Alansari has a clear idea of where he wants to be and how to get there. Alansari has some advice for those looking to land the summer experience of a lifetime. Valerie Yarova, a sophomore at the UA from Kiev, Ukraine is interning at the Tucson Medical Center, shadowing a cardiothoracic surgeon. Yarova hopes to attend medical school in the future, so she reached out to the father of a friend about shadowing him over the summer. Yarova is getting real world experience in the operating room, giving her a crash course in what it takes to be a surgeon. The summer experience is imparting invaluable information about the heart and the afflictions it faces. Yarova is committed to the field of medicine and hopes shadowing experiences unlock her passion for a specific field. Yarova is passionate about internships and clinical shadowing, and hopes all UA students seek out these opportunities. 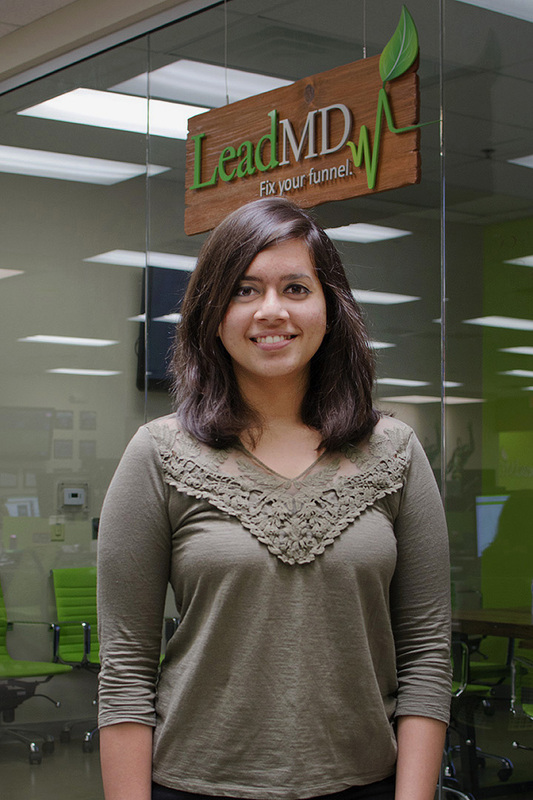 Ishita Raut, a graduate student in the Management Information Systems (MIS) program in the Eller College of Management is wearing many hats this summer as an intern at LeadMD, a start-up marketing firm in Scottsdale. A native of Mumbai, India, Raut was recommended by a friend for the internship. She then sought assistance from International Student Services at the UA to complete the proper documentation. The MIS program at the UA gave Raut a solid foundation for the internship, so she was able to hit the ground running. Raut’s favorite part of interning at LeadMD is the variety it allows. “Honestly speaking, each day is different! That’s the best part of working at LeadMD. I’m networking with people, wire-framing, using a plethora of tools like Google Analytics and Salesforce, along with the basics of marketing, digital marketing, and social media strategy. Most importantly, I’ve learned how consultants work in the corporate world, along with having fun! Raut advises international students to seek out start-ups, in particular, for summer internships. International Student Services (ISS) supports approximately 4,000 international students at the UA— from application to graduation. ISS provides immigration guidance, academic resources, cultural connections, and social events, making the UA experience meaningful and fun for all students. For more information, visit the ISS website.